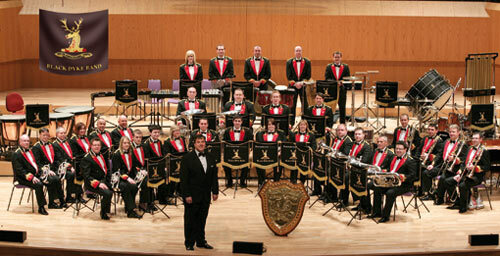 On Saturday 2nd February the World Famous Black Dyke Band performed a spectacular sell-out concert in St. Patrick's Parish Centre, Strabane - hosted by St. Josephs Brass Band. The band was conducted by composer and arranger Dr. Peter Graham who directed the band through a varied and extremely entertaining programme full of musicality and panache along with the technical wizardry of the soloists. The appreciative audience were reluctant to let the band leave the stage at the end of the concert and were duly treated to a breathtaking encore to bring the evening to a close. Full details of the programme are noted below.